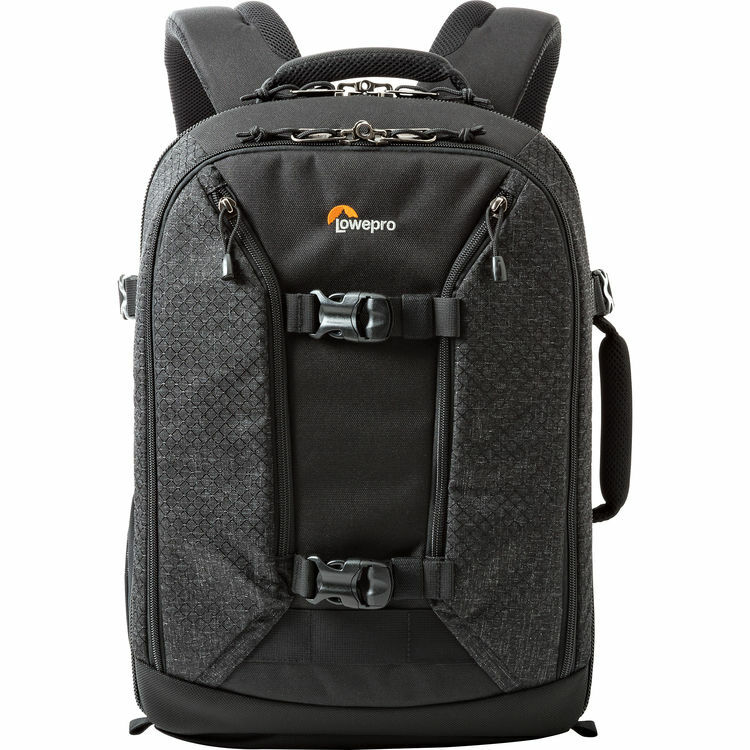 Built for timeless functionality, this Lowepro Pro Runner BP 450 AW II is a professional-size backpack that will protect your gear and all of your devices while keeping your bag organized for the shoot. 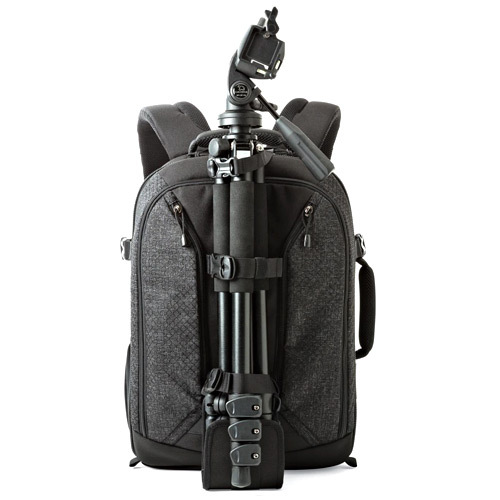 It provides a variety of carrying options, either by the handle, as a backpack or on its wheels for ultimate mobility. 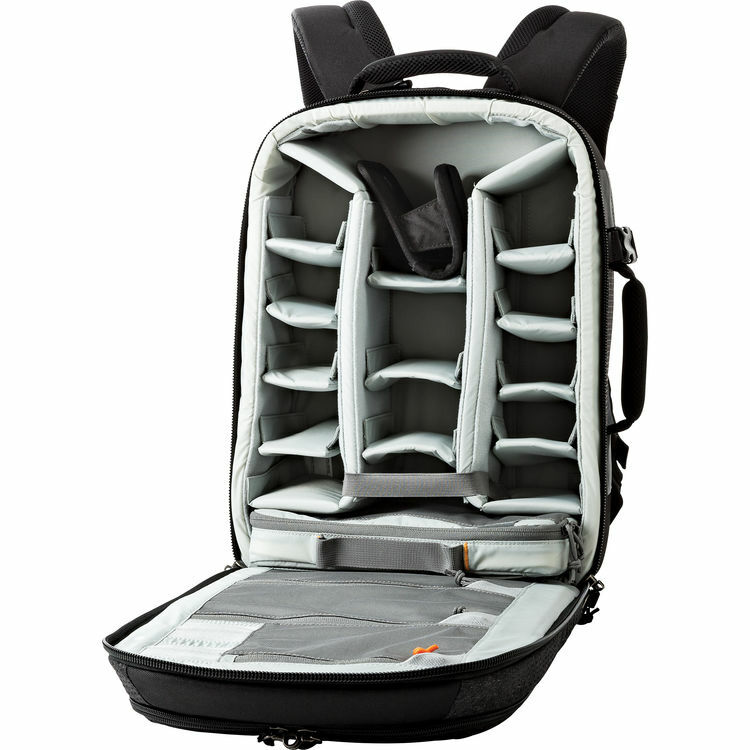 The camera-area provides you with a snug, adjustable and protective fit while removable accessory case zips serve as convenient space for your hard drive, triggers, cords and/or cables. 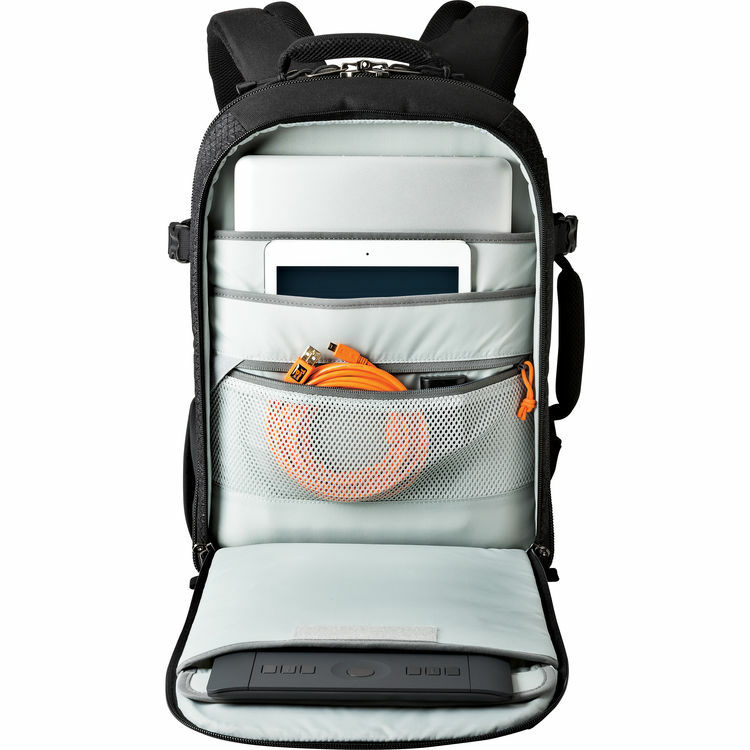 An area dedicate solely to your devices includes space for a laptop, iPad, Tablet or Wacom Tablet. 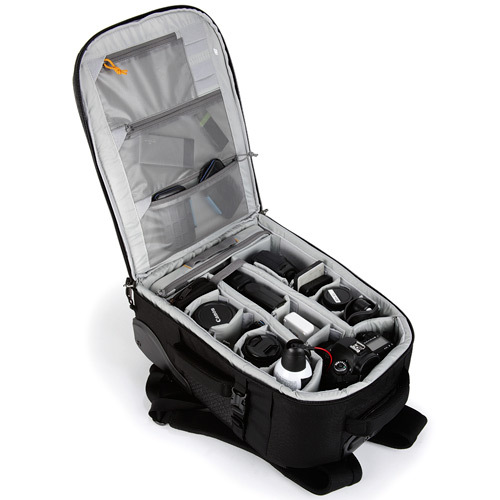 CradleFit pockets suspend for that perfect fit and to protect your devices from direct bumps to the ground. 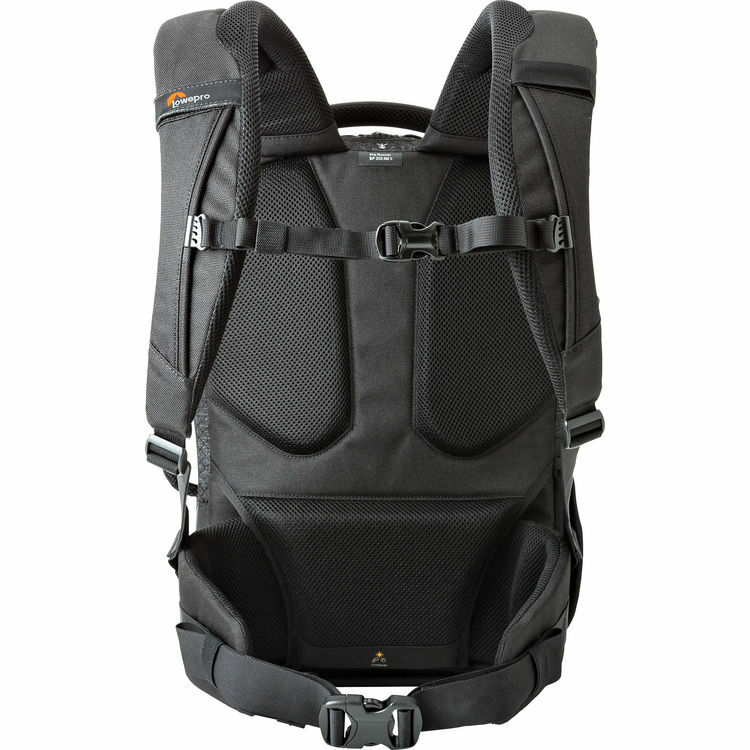 3D mesh padding on the back panel, ergonomically contoured shoulder straps and a removable waistbelt will provide support and comfort when carrying a considerable amount of gear for a long time. 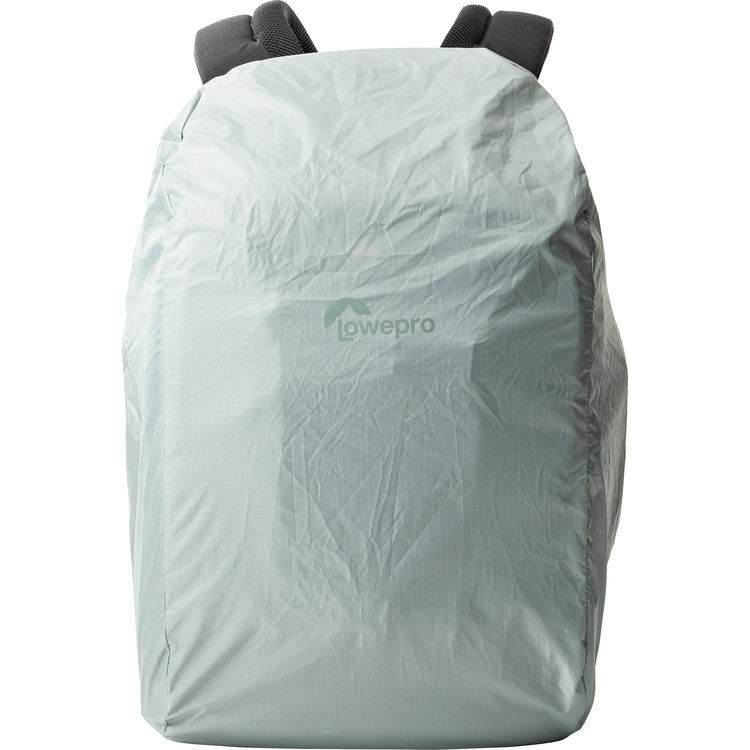 The Lowepro Pro Runner BP 450 AW II backpack has travel-friendly features throughout, meeting all of the requirements of a professional photography bag.